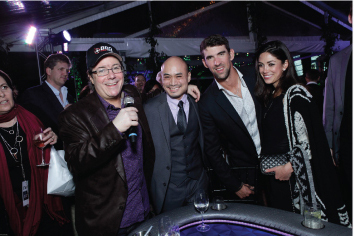 ﻿ Party with Jamie Gold, Michael Phelps and BBO as we put on the #1 rated Super Bowl party in Houston for SB51! 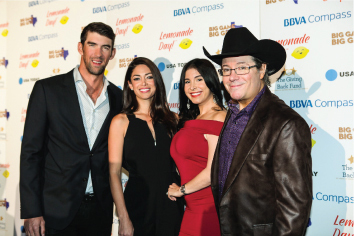 On Feb 4, 2016, the Giving Back Fund celebrated its 20th anniversary on Super Bowl Sunday in Houston by throwing the 8th Annual Big Game Big Give charity Super Bowl Party, held at the gorgeous estate of entrepreneur and philanthropist's Michael and Lisa Holthouse. 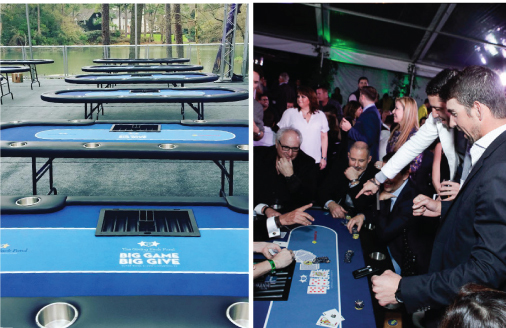 The Giving Back Fund's Super Bowl charity event, Big Game Big Give, hosted by David by Schwimmer and Josh Brolin at the estate of Lisa and Michael Holthouse. 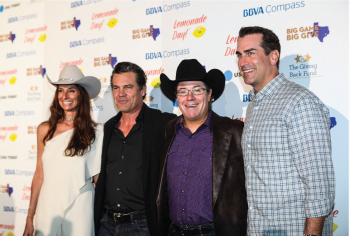 The evening featured a live auction hosted by David Schwimmer and Josh Brolin, who auctioned off not one but two roles in an upcoming movie with a “speaking line if you can come up with something clever”. The winner of the largest prize pool in World Series of Poker winner Jamie Gold auctioned of a “Million Dollar” personal poker coaching, buy-in to the 2017 Main Event, and live coaching during WSOP play. Common graced us all with his talents on the mic. He surprised us with some of his greatest hits and freestyle tailored especially for a guest he pulled up on stage along with Lisa Holthouse herself. 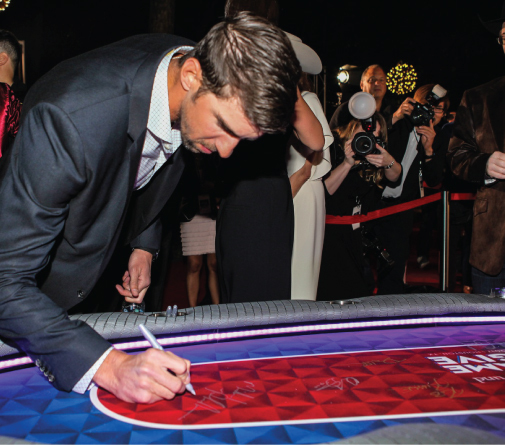 The most decorated athlete in Olympic history Michael Phelps signs the one of a kind BBO Lumen especially made for the evening. 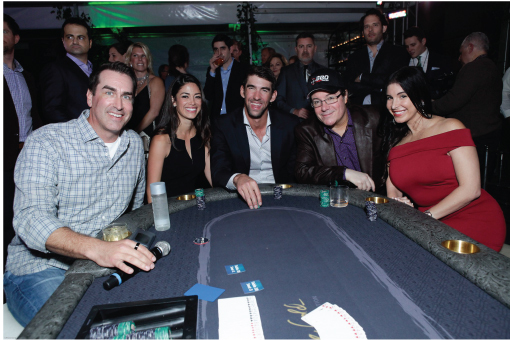 The final table for the Poker event was designed by BBO. Our amazing graphic artist created a cool designed using the New England Patriot colors and the Atlanta Falcons colors in support of Super Bowl 51! Table was signed by Michael Phelps, Adrian Peterson, Quandre Diggs and many more.